I want to thank you for praying for me and Michele this past month. 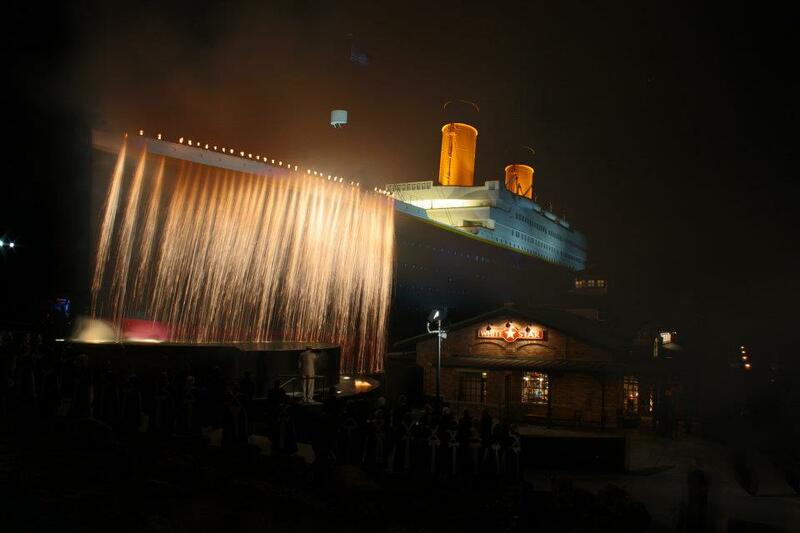 The Titanic was a HUGE SUCCESS! 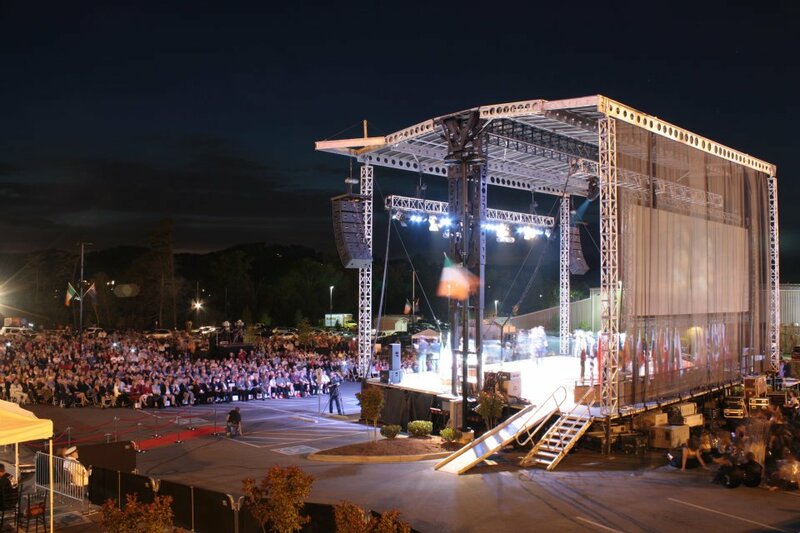 We were responsible for producing two events (Pigeon Forge, TN and Branson, MO) on the same day. Both productions involved a cast and crew of approximately 250 persons at each event. To top things off, Michele and I were not even physically at the Branson event, but had personnel onsite to ensure every planning detail was executed properly. And with 4,000 in attendance in Pigeon Forge, and 2,500 attending Branson, there were only two complaints which had absolutely nothing to do with our productions. They were upset with all the traffic. Perhaps the greatest compliment came when we had the opportunity to speak with Mr. Lightoller -one of the descendants whose grandfather was one of the crew members who actually survived the tragedy- that came from Scotland. One of my friends is a Jewish Rabbi, and we invited him to participate in the program in Pigeon Forge, and Mr. Lightoller was sharing with me how Rabbi Eric’s segment impacted him greatly. His life was transformed. Another individual commented that they were completely impressed with how there was a resounding theme/undertone of Christ and salvation throughout the entire program, yet it wasn’t “preachy” or “obtrusive”. It was truly amazing how the Lord orchestrated everything and we were able to give the plan of salvation told in story form from one of the minister’s testimony who perished during this accident. Again, we will never know to what extent lives were changed, but the climax of the program concluded as the singers held the last note of the song, they lifted their hands and pointed to the screen behind them. On that screen, we portrayed the image of a Cross, indicating hope in Christ. It was truly amazing, and we were honored to have been allowed the opportunity to participate in this historic occasion. Through the entire process, I saw first-hand how the message of Jesus Christ- the hope of Glory- can be conveyed without having an official church service. It was great that we were dressed up in our best attire for this momentous occasion. For me, this was something that I had never experience before. I was born and raised in the church. I have been in church for as long as I can remember. I served as Pastoral Staff in churches for over seventeen years, and now travel extensively and primarily in churches. I saw the impact we as Christians can have on our community; I saw great impact on the marketplace ministry. Throughout my life, I have come across people who felt that they could only impact lives if they were on staff at a church. They felt as though they had no “ministry” unless they were employed by a ministry. However, the church was never able to afford the salaries they were used to making, and as a result they lived their lives frustrated. Today, I want to encourage you to see the opportunities that God has set before you in your job or in your social sphere of influence. I want you to ask yourself how many times you have missed opportunities to impact and influence people’s lives simply because you didn’t have your ecumenical collar on the shirt you were wearing that day. Just because you do not have an office or title, don’t allow the enemy to keep you silent and prevent you from preparing for the ministry God has laid upon your heart. You want and need to be ready when opportunity presents itself. WE ALL DO! Don’t get frustrated and lose hope because you don’t see it happening today! As you know, Michele is the current reigning Mrs. Virginia United States of America 2012. She will compete for the title Mrs. United States of America 2012 in Savannah, GA July 22-28th. I will share more about that later. But her platform that she speaks and ministers from is about the Simple Choices and Changes that we make which can impact our Destiny greatly. She will be sharing this message as guest of the National Day of Prayer Ceremonies in Virginia Beach this month, as well as the Emcee for the “Vision Walk” festivities which has already registered 400 teams that will be walking to raise money for a cure for blindness. She will share this message at each given opportunity. It is the small choice that can bring about a big change. I have struggled with my weight for most of my life. Michele shares that small choices made can bring about changes. So, I decided I would try her message out. I made one choice- I would drop Judah off at school and then go to the gym and spend 30 minutes on the treadmill. I lost 6 pounds the first couple of weeks. One small choice to change my morning routine yielded a change that is helping me to attain some of the goals in my life of being healthy and keeping weight under control. The ability for you to activate your marketplace ministry may only be one simple choice away. Perhaps it is reading your bible in your office 5 minutes before you begin your day. Maybe it is praying before your meal. Or maybe it is simpler than you think. It could just involve you saying hello to that co-worker in the Breakroom. That one choice you make could unlock the very thing you have been praying for. If you think your ministry has to look one particular way, stop and ask the Lord to open your eyes to the ministry opportunities you have overlooked or not noticed while they were right in front of you the whole time. Remember, if He finds you faithful over the small things, He will make you ruler over the great! Please do not misunderstand me. I do believe that God is calling some into full-time church ministry work. But I want to encourage you to cast down the thought that they only way you can ever minister to anyone is by being on staff at a church. I don’t pretend to totally understand marketplace ministry, but I am seeing it from a different perspective after being involved at the Titanic. I once heard a saying which read, “You are the only Bible some people will ever read”. This month, during your times of worship and intimacy with the Father, ask Him to help you seize every opportunity that lies in front of you. Share the word (either by telling or simply living the word before the people), allow the Holy Spirit to do His work by drawing the non-believer close to Himself, and then watch as God gives opportunities for you to minister to these individuals. Live your life so that others may see your good works and glorify the Father. Be ready, because some of you will have opportunities that you never dreamed of. And when your preparation meets that divine opportunity moment, your ministry will be successful!